High-Powered, Screaming-Fast Network, Our network was built from the ground up to provide maximum connectivity globally. We use a blend of 3 tier1 bandwidth providers. Verizon's synchronous optical network (SONET) is a fast network backbone over which ultra-high-speed, high-volume voice, video and data applications are run. Verizon's extensive SONET system uses self-healing rings of dual fiber-optic strands for fast, survivable transport. 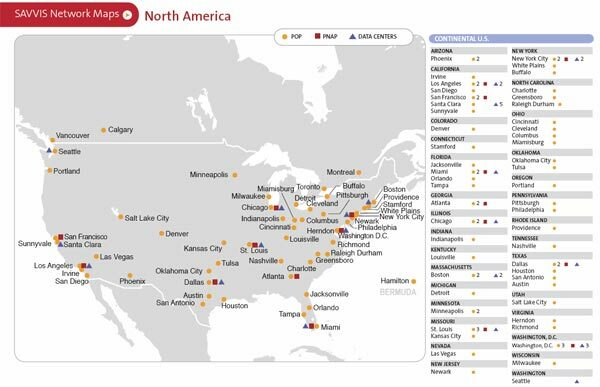 The SAVVIS IP network spans 105 cities in 47 countries, encompassing the U.S., Canada, Latin America, Europe, The Middle East, Asia and the Pacific Rim. SAVVIS uses network-based routing, security and quality services, delivered on an as-needed utility basis, and are supported by an automated service model that further reduces costs and enhances the customer experience. 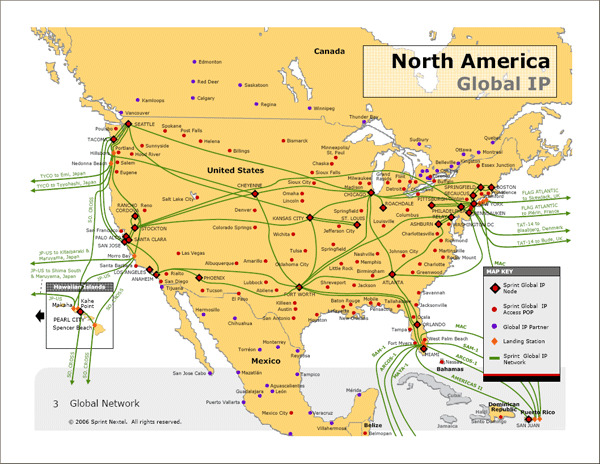 One of the world's largest Tier 1 IP networks - connecting over 25% of the world's Internet traffic. The Sprint IP backbone has more Autonomous System network connections than any other, with high-speed links that operate up to OC-192 / STM-64 - the fastest speeds available over IP today.